I reflect on my time there daily. 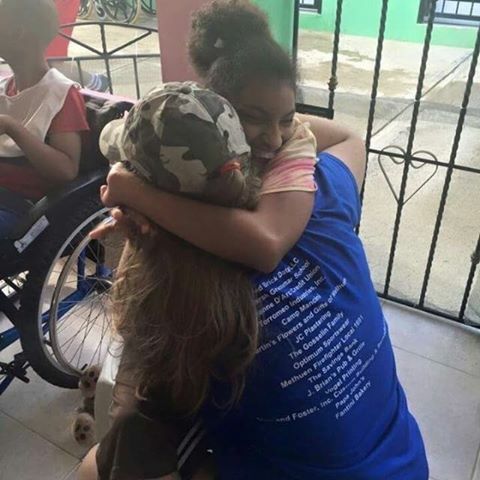 "A year ago, I was preparing to leave for my trip to MSC Dominican Republic with a group from my high school, and a year ago, I had no idea the impact that week at Hogar Immanuel would have on my life. I reflect on my time there daily and I am reminded of the residents, staff members, and all of the wonderful people I got to meet, know, and love during my short trip. Each morning we would walk down the steps and hear squeals and giggles coming from the residents living in the buildings below us, and each morning it was a treat. I think I can speak for my entire group when I say it reminded us of the reason we were there. I am truly blessed to have been able to spend time with the wonderful people of Hogar Immanuel and I hope I can make the trip again with a group of peers or someday with my own students. Thank you, Hogar Immanuel and Mustard Seed, for teaching me so many amazing lessons in my short time spent with you!"